Don’t get stuck indoors this summer. Children love riding bikes – it can help give them independence, improve balance and coordination, as well as being fun and free. Got a little wobbler on your hands? Our balance bike clinics are a great way to build confidence. 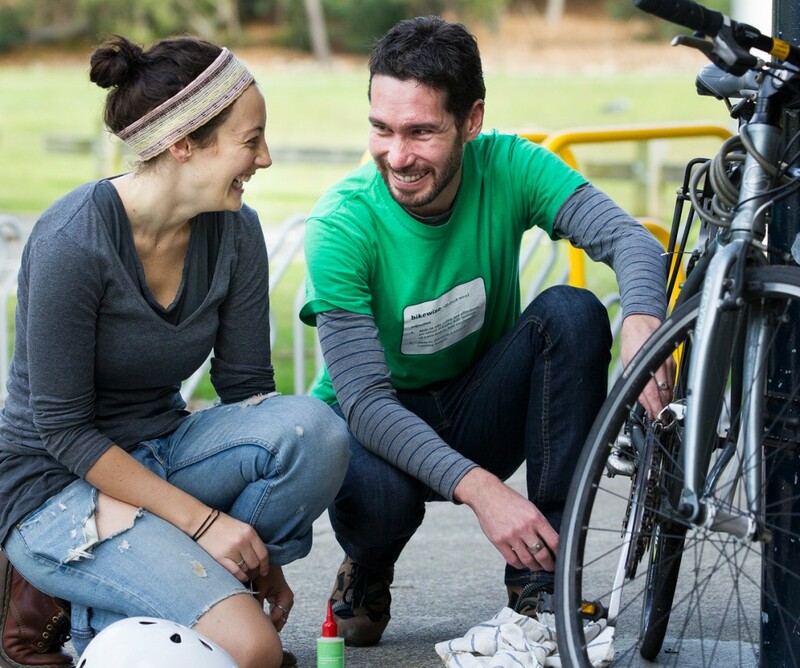 There are extra sessions, with free bikes, helmets and instructors on hand, from Monday to Friday, 8 – 25 January at Sydney Park Cycling Centre. 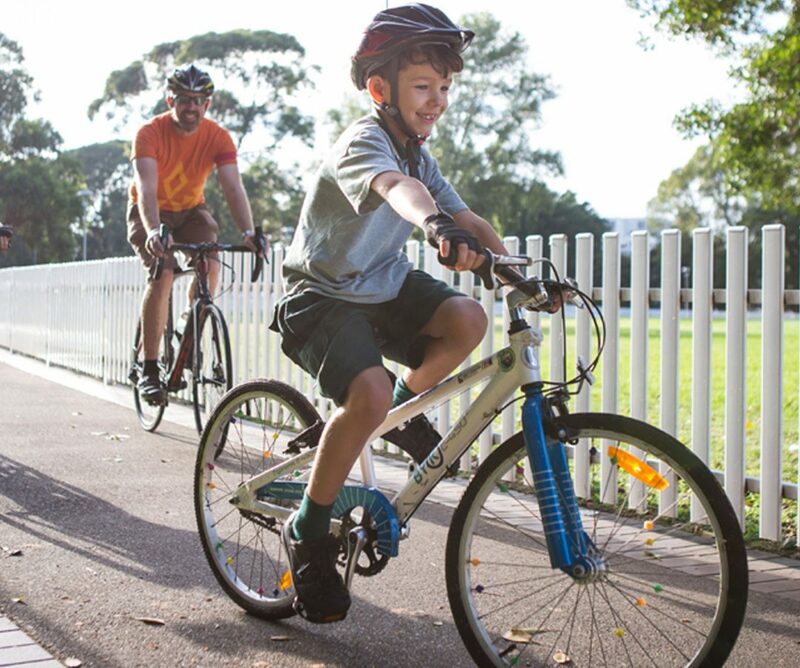 If your kids are a little bit more confident and have their own bikes then bring them to Sydney Park bike track; there are tunnels to swoop through, pint-sized roundabouts and traffic lights to navigate, and longer trails around the park for older ones. Why not go as a family and ride to one of the park cafes? Check out our tips on riding with kids. From the sporting sights ride to the quirky sydney ride – theres plenty to discover on two wheels. 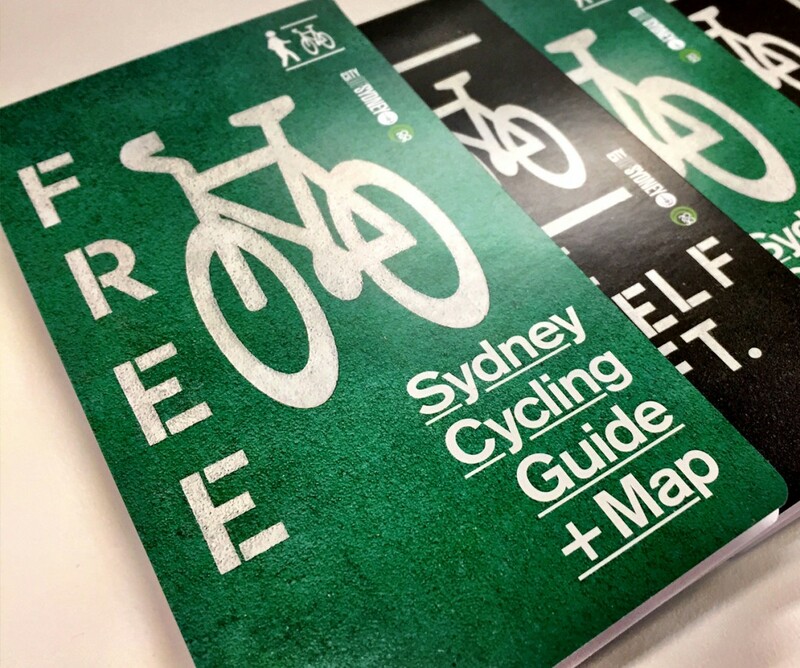 We’ve mapped 12 easy rides around Sydney which include cycleways, shared paths and quieter on-road sections. People travel from all over the world to see Sydney’s spectacular Harbour Bridge, but have you ever ridden a bike across it? You can use seperated cycleways and shared paths to get all the way from Central Station to North Sydney, traversing the Coat Hanger and taking in the views along the way. See our map for route advice. Take your kids to the next stage of bike riding at our Parent and Child course on Sunday 14 January. The course will prepare you to take to shared paths and quiet streets so that you have the confidence to explore your neighbourhood together. Young riders can also do our Cycling in the City or Bike Maintenance course provided they are accompanied by an adult at all times. Remember that all riders must wear a helmet and all bikes must be fitted with a bell in NSW. Children under 12 – and adults accompanying them – may ride on the footpath. On footpaths and shared paths please remember to be mindful of pedestrians. Capture your summer holiday memories and share them on the #sydneyrides hashtag! Where will you go with our free map?